Zombies are not like vampires or werewolves or other monsters, so do not expect a silver bullet to save you. 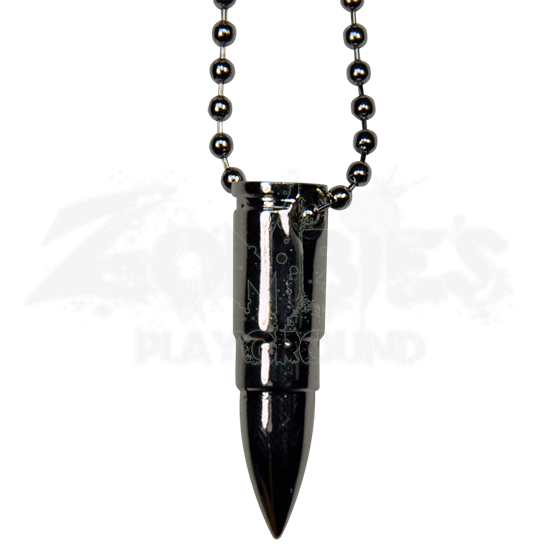 However, while it will not save your life, they are quite the appealing accessory, which means that these Silver Bullet Necklaces are great to wear. Silver bullets are typically the tool of choice when it comes to killing monsters, most particularly werewolves, although vampires sometimes have a weakness to it as well. While a silver bullet can take down as powerful a creature as a vampire or a werewolf, a regular bullet can do the same to a zombie. This pendant is modeled after a small caliber rifle shell, possessing an elongated shape and a pointed tip that is usually indicative of greater penetrative power. The entire bullet is crafted from polished metal, giving it a silver gleam that is quite striking. A hole is bored through the base of the bullet to accommodate a 22-inch long break-away ball chain necklace, which will keep the bullet securely around your neck. 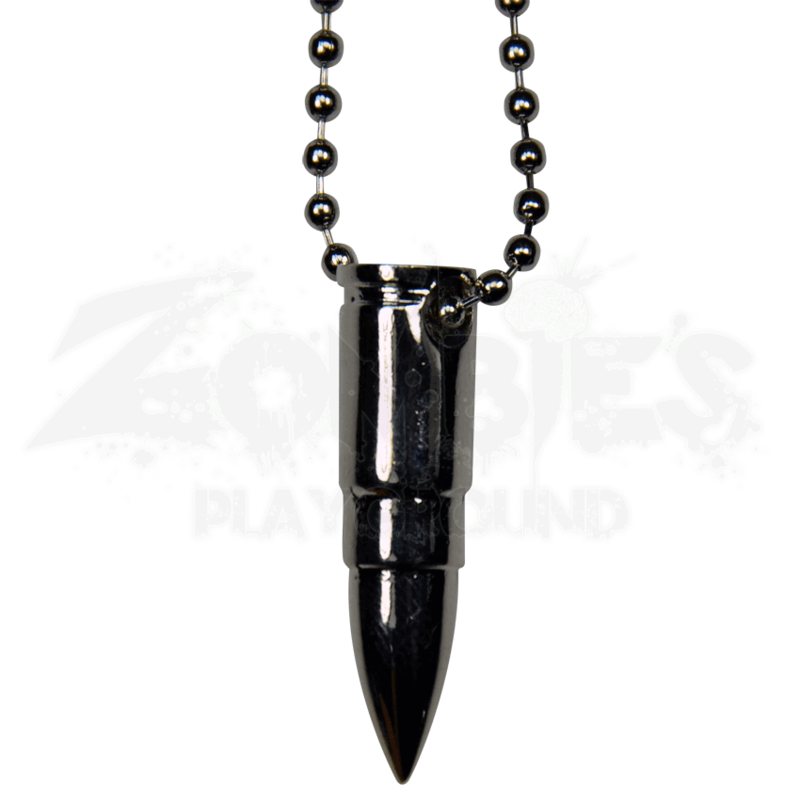 Please be aware that this bullet is purely decorative and cannot be made into live ammunition, so do not plan on saving this necklace as the last round to use when all other sources of ammo have gone dry. So perhaps silver will not save your life like it will in the movies, but it might just make you feel stronger in the face of monsters, and if that is the case, then the Silver Bullet Necklace is just the accessory to have, because any advantage is better than no advantage.